Sometimes it seems as if we are witnessing a transformation of values and a redefinition of fundamental concepts. The close connection between risk-taking and liability, which is an important element of a market economy, has weakened. Conservative and risk-averse business models have become somewhat old-fashioned. If the state is bearing a significant part of the losses in the case of a default of a bank, banks are encouraged to take on more risks. [High bonuses and short-termism] are the result of violated market principles and blurred lines between the state and the banks. They are not the result of a well-designed market economy but rather indicative of deformed economies. However, the market economy stands accused of these faults. In my view, the solution is to be found in returning the state to its role of providing a framework in which the private sector can operate. This means a return to the role the founding fathers of the social market economy had in mind. They knew that good banking regulation is a key element of a well-designed framework for a well-functioning banking industry and a proper market economy in general. This is where good bank capitalisation comes into play. It is the other side of the coin. Good regulation should directly address the key problem. If the system is too fragile, an important and direct measure to reduce fragility is to have enough capital. Good capitalisation will have the positive side effect of reducing many of the wrong incentives and distortions created by taxpayers’ implicit guarantees and therefore making the bail-in threat more credible ex ante. In view of all this, I believe that two elements will be especially important in making banks more stable: capital and liquidity. Deficits in both of these things were factors which contributed significantly to the financial crisis. The state can bring in regulation to address these deficits, and has done so very successfully. In terms of financial stability, the crux of the matter is that these entities can cause similar risks to banks but are not subject to bank regulation.And the shadow banking system can certainly generate systemic risks which pose a threat to the entire financial system. Much the same applies to insurance companies. Although they aren’t a direct component of the shadow banking system, they can also be a source of systemic risk. All of this makes it appropriate to extend the reach of regulation. Moreover, he views formerly ‘low’ capital requirements as a justification for bankers to take on more risks to generate high return on equity. This doesn’t make sense. For one thing, the higher the capital requirements the higher the risks that need to be taken on to generate the same RoE. It also encourages gaming the rules. This is what is currently happening, as banks are magically managing to reduce their risk-weighted assets so that their regulatory-defined capital ratios look healthier without having to increase their capital. Mr. Dombret starts by seriously questioning the state’s ability to manage the system and highlights the very harmful and distortive effects of state regulation to eventually… back further and deeper state regulation. 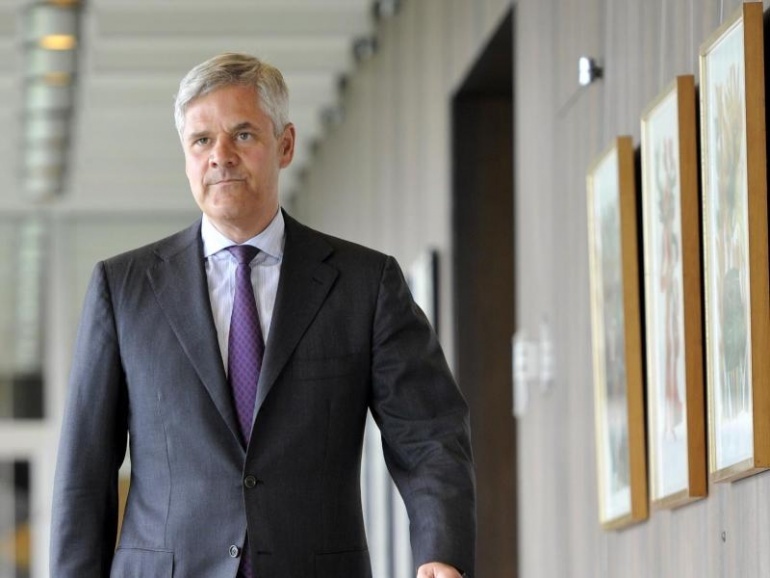 A question Mr. Dombret: what are we going to do following the next crisis? Continue down the same road? Can please someone remind Mr. Dombret of what a free market economy, which he seems to cherish, means?